Need full detail of H K E S Dental College, Gulbarga? 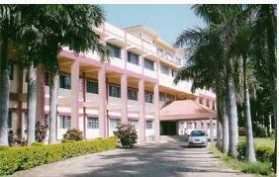 S. Nijalingappa Institute of Dental Sciences & Research, Gulbarga was established in 1986 by HKE Society. S. Nijalingappa Institute of Dental Science is recognized with dental council of India and ministry of heath and family welfare. S. Nijalingappa Institute of Dental Science offered various courses in MDS and BDS. Candidates must have passed in the two years Pre-University Examination or Equivalent with Physics, Chemistry and Biology as optional subjects are eligible for admission to the first year. The candidate must have scored not less than 50% of the aggregate marks in Physics, Chemistry, and Biology. Candidates must have BDS Degree recognized by Indian Dental Council. S. Nijalingappa Institute of Dental Science is of facilities.